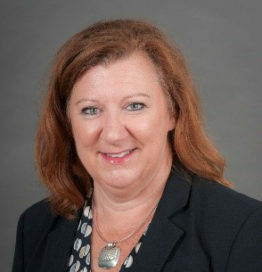 Vickie Miene, MS, MA, LMHC is the Interim Director of the Iowa Institute of Public Health Research and Policy at the University of Iowa’s College of Public Health. The Institute brings together researchers, public health practitioners, community leaders and policy makers to expand the impact of public health research and improve the health of populations. Ms. Miene has more than 25 years experience building effective health care delivery models for vulnerable populations and led a multimillion dollar, multi-year Substance Abuse and Mental Health Services Administration-funded System of Care program in northeast Iowa. The Community Circle of Care program was praised nationally for being the first SOC program to effectively combine social support and medical systems through a team-based model of care for children and youth with serious emotional disorders. Ms. Miene has supervised clinical operations for a statewide medical program, developed innovative telehealth programs, and led multiple statewide training and technical assistance projects designed to transform systems and improve quality of services. She was part of a multidisciplinary statewide team that initially developed the Iowa Pediatric Integrated Health Home model of care for those with serious mental health challenges. Ms Miene leads an Invest Health housing and health initiative, provides classroom lectures, teaches ethics for behavioral health providers, and serves as a preceptor for multiple public health students. She has been a foster parent and has four adopted children.